This entry was posted in AFRICAN ARMED FORCES, ARMED CONFLICT, COUNTERINSURGENCY OPERATIONS, GLOBAL DEFENCE NEWS, JOINT SECURITY TASK FORCE, JOINT(MILITARY)TASK FORCE IN THE NIGER DELTA, MILITARY EXERCISES, MILITARY PHOTOS, NIGERIA, NIGERIAN AIR FORCE, NIGERIAN ARMED FORCES, NIGERIAN ARMY, NIGERIAN MILITARY HISTORY, RISK ANALYSIS, SECURITY ISSUES AND CONCERNS, SPECIAL TASK FORCE, TERRORISM, URBAN GUERRILLA WARFARE, WEST AFRICAN STANDBY FORCE and tagged AIRBORNE FORCES, ALENIA G222 PLANE, COUNTERINSURGENCY OPERATIONS, DEFENCE AND SECURITY, GEOPOLITICS & STRATEGIC STUDIES, NIGERIAN AIR FORCE, NIGERIAN ARMED FORCES, NIGERIAN ARMY, NIGERIAN MILITARY HISTORY, NIGERIAN NAVY, TERRORISM. Bookmark the permalink. Man mi oseo ( my main man thank you). 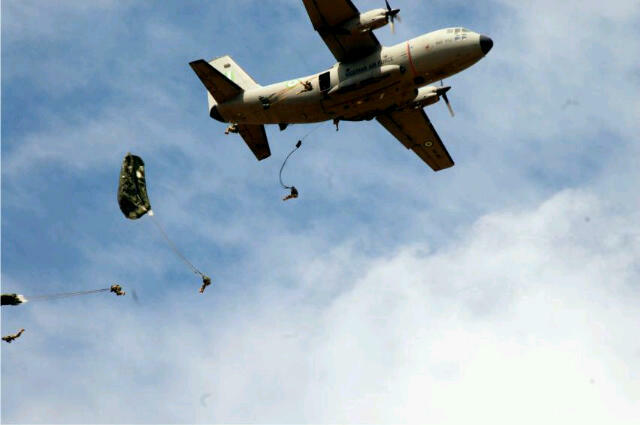 Yes the whole world knows now that we have highly trained Paratroopers what a sight! 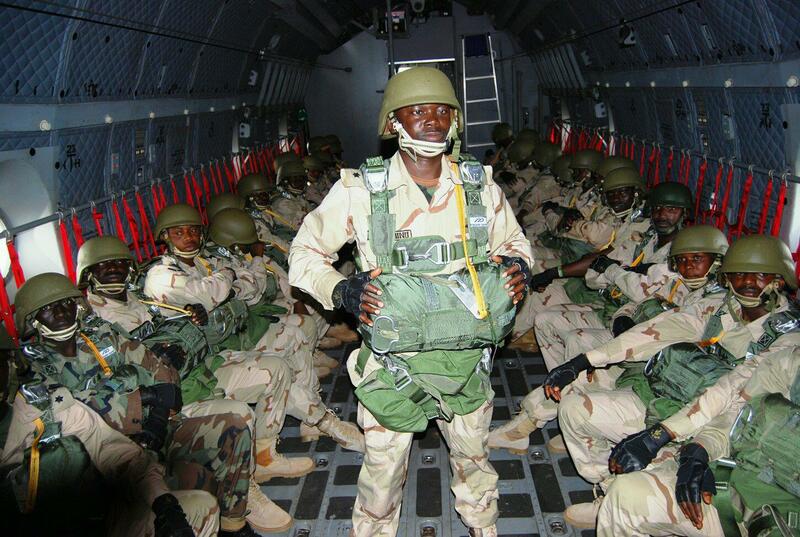 Nigerian army airborne forces, ready to jump for God, country and president. Nigerian female paratroopers, the first and only female paratroopers in the whole of west, central and east africa region. it could also be the same thing for their male counterparts. 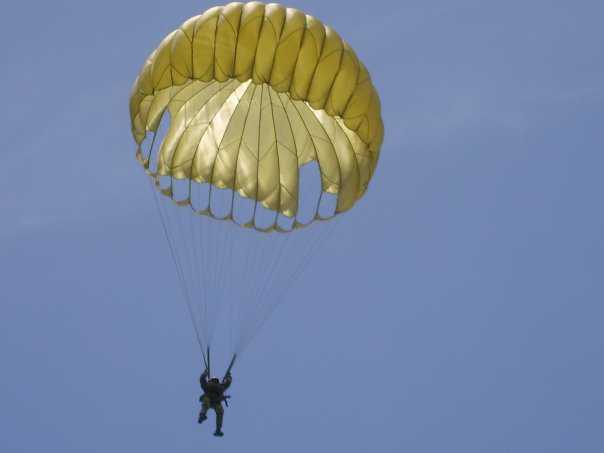 We’ve always had paratroopers since the obasanjo era. It was in 2003 or so that we saw west africa’s first female military skydiver. However it is this Jonathan’s regime , that we started seeing them lots more and in droves. About 70 paratroopers simulated an air borne landing, during this year’s NADCEL. OBJ years u said? 1999-2007? A handful of paratroopers apparently saw action on the federal side at the time of the epic siege on Owerri during the Nigerian Civil War(Sept 1968-May 1969). This was at the time when MiG and Ilyushin jets harried Owerri while supplies were air-dropped for besieged federal troops. That was a bit part performance. 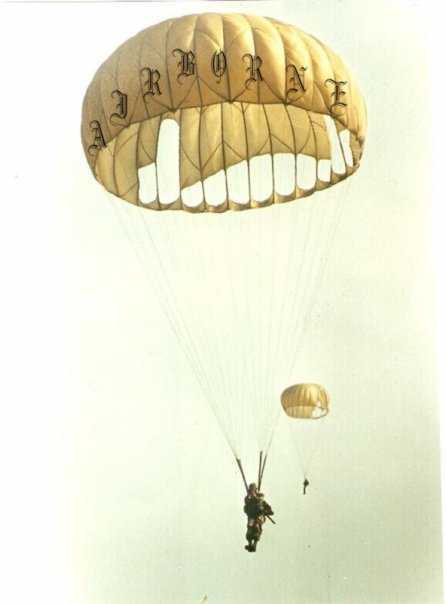 The Air Mobile and Airborne Bdes were entirely parachutists. That old order has been revised to reflect new realities with 31 Bde now a field artillery formation transferred to 1 Div AOR while 2 Air Mobile Bde has since become transformed into an amphibious brigade. This post almost drive me to tears, seriously am not a chicken, I have been a silent observer in this forum for long, airborne troops is the thing for me, lets remember the D-day in normandy in ww2. viva Nigeria military, viva beegagle. Oga beeg,i know this is off topic but i would like to ask,where are nigerian army’s main battle tanks,we keep hearing and reading that nigeria has t-55,T-72 and vickers mbt’s,butaapart from the vickers tank,we hav neva seen the T-72 or T-55. I would also like to ask what kind of armour does our T-72 have? ?is it the kontak ?? Oga beeg could you give us the breakdown of the composition of the nigerian divisions in respect to how many troops in a division,how many battalions garrisons and brigade makes up a division in the nigerian army.i’ve tried to research this info but i dont find an ans,in one website i searched it said nigeria had only 60;000 troops,and in wiki they said about 80,000.pls ur ans would be greatly appreciated. The first time i saw NA and NAF paratroopers was in 1984-85 in Bori Camp Port Harcourt, by some officers in the then 1 Battalion and some air force pernnel from Kaduna. Also in the late 1980s,we were happy to see soldiers of the then 72 Parabattalion of the 31 Airborne Brigade jumping out of NAF C-130H planes over makurdi . @ johnbest1 why are you so interested about the NA T-55 and T-72 with its type of armour and even the numeric strength of the NA?If am correct you have asked these same questions before on this blog,so who are johnbest1? I think johnbest1 has a valid question, because modern armour is decisive in modern tank battle… And I still don’t believe we have T 72’s……. Oga gbash as a nigerian dont i have a right to know about my country’s military or @ least see the mbt’s? ?even the world powers arent as secretive about their mbt’s so why should we be. I have asked that question before bout the tanks. Seen a few tracked armoured vehicles but never laid eyes on our supposed ‘Russian armour’. Are they even working or just don’t exist in our inventory? @johnbest1,you have the right to know a particular weapon when it is made public by the authorities,remeber we are not develop militarily as other countries,however i am also expressing my doubt about the T-72 tanks in NA service. Even the US of A is also secretive about some of her weapon,e.g the Global Hawk UAV! Yeah countries like the usa and russia are secretive bout their advanced weapons not mbt’s,the usa is secretive bout their stealth technology and laser weapons bt they show demonstrations and tests.is nigeria @ war or even in a cold war that they would be so secretive,or are the t-55/t-72 advanced weapons. There is a book on Nigeria Paratroopers written by Aliyu Y. Abdusalam a retired officer of the NA which Im trying to get. I learnt its a very solid. With respect to the question raised by johnbest1, of course you have every right to ask questions about how your tax is being spent. But we also have to realize that NO COUNTRY ON EARTH (NO MATTER HOW POWERFUL AND TRANSPARENT) WILL EVER DISCLOSE ITS FULL MILITARY MIGHT/ARSENAL That is why the US have Area 51 in Nevada, Russian has Kasputin Yar and the Chinese have Ding Xin and Lop Nur. (1) The secret is already known by the known or perceived enemy. (2) The secret is beeing revealed to serve as a deterrence ( “see what I can do to you if you try me”). I think what gbash10 is trying to say is that Nigeria Military is just opening up in the area of information dissemination. Some of the things we say so easily on this forum now would have landed us in detention some 15 years ago (when our military was at its weakest and when something as trivial as the name of standard parachute was “top secret”). Why this was the case is beyond my comprehension. Now, we are in a democracy and things are looking up. With time and with the current momentum, things would get better and we would be able to sleep at night knowing that ‘ violent men with terrible arms are watching over us’. (1) They have tested ‘bullets that can change direction mid-air’ and track the target. (2) Combat fatigues that will automatically change it’s color to match the surrondings and that can detect ABC weapons. Such fatigues will have cooling systems so that the soldier can stay in a desert for days. It can also administer drugs to the soldier when injured and gives soldiers the strength to walk for four hours with less energy amongs other capabilities. (3) The future tanks will fire laser weapons and shells that can travel at 8000km/hr.it can also remain submerged for days. Such tanks are so networked that the commander knows the no of shells in every tank under his command and are protected with futuristic reactive Armour. (4) They have the the F22 Raptor now. But they are already testing ‘Aurora’ and other hypersonic aircraft that can travel at 20 x speed of sound. They have already tested aircraft that can detect if the pilot is unconscious and that can automatically locate the nearest ‘friendly’ airbase and take the unconscious pilot home. These aircraft will be powered by futuristic propulsion system and can fly for days without refuelling. They cannot run out of missiles since they fire energy beams! (5) Nano robots can be unleashed on enemy forces to decimate their ranks and destroy their weapons. (7) Paranormal warriors (Project Stargate and Jedi) are standing by to play games with your mind and even kill you. (8) Their cyber warriors may not even allow your systems to work in the first place. Dem go throw ‘sand’ for your face. (9) TiccoDongera is a Leviathan on the sea, but kindly check out the next warship ” DDG-1000″ capabilities. (10) You can also check out some stuff about HAARP and other Tesla weapons. These are the few I can remember for now, but you will agree with me that any country that has just a few of the above under development can afford to tell you about it’s Abram tank or even it’s F22. For now, those T55 and 72s are our top weapons. I think that’s why the authorities are reluctant to disclose info about them. Spirit abeg I no say your screen name na Spirit but combat is not magic. How can a bullet that changes flight be commercialy produced and used in the quantities needed for combat? How does it know its target and track it? One or 2 of the things listed there might have been subject to studies or tests but in no way shape or form will be ready for production or even general use in the near future. Thank you, oga spirit. You just smashed the nail on it’s severed head. It just nice to see how our democracy has developed. If it were 15years ago, I guarantee you, like oga spirit has said, we would have landed in prison, no absolute doubt about it. Bear in mind that we only say things that have been released by the military, either through it’s own news desk or through other government media organisations or private media stations. If the military has not released any information, there is absolutely no need seeking the information. However during 50th anniversary celebration all these things where presented to nigerians and the media. The only thing is to wait for 2014, when nigeria would be 100 years, the government and military has promised us a major / very large military celebration. From what I know, the NA has long had T-55 tanks, even before the british vickers were introduced. The last i saw of NA T-55 tanks, was when they were finally shipped from nigeria to freetown, to clear the eastern surburbs of freetown of rebel activity. As for the Czech T-72 upgraded tanks, i have never seen a nigerian picture of them. I initially doubted their existence, but we have now seen pics of the MT-LBs in liberia, and in darfur. These were amongst the mini spending spree of president OBJ on soviet weaponry as he came into office, and realized that western sanctions had virtually crippled NA’s entire mechanized force. According to mr. beegeagle’s meticulous detective work, decoding and deciphering the UN’s arms transfer logs, I now believe in the existence of the NA T-72s, as well as the BTR-3s & BTR-60s/80s. As for paratroopers, i believe that like with all things NA, they are in a rebuilding process. So let us not marvel so much at platoon and company level paratroop operations, when battalion and brigade sized drops used to be the order of the day. I grew up in an area close to OBALENDE and IKOYI ( AREA UNDISCLOSED) any heavy amour ed activity heading to or from dodan barracks we witnessed it as young kids . We witnessed/ saw the colummn of fox scout cars and apcs in the retaking of the radio STATION IN 1976. in fact during the fighting we gave some soldiers water to drink!. zipping past DODAN BARRACKS 1976-1979 it was not uncommon to see a tank or two parked outside. Nigeria has had tanks/ and continues to have them recorded documented since 1977/1978 that I can personally attests to. Lastly the issue should not be whether we have tanks, the issue should be as oga peccavi will tell you how capable are the brigade and division commanders in deploying in them. IRAQ had thousands of tanks against what was an inferior CASH STRAPPED IRANIAN ARMY and could only settle eventually for a draw., upon the selling by ISRAEL of H.T.O.W. ( anti tank missiles). Thank you, Doziex. Ah don tok..man don taya. The role of photos where available and when possible – in my own usage here – is to show that which is available but unknown (e.g photos of Aryan 1300-series gunboats, NC27 Night Cat Interceptors, Manta Mk.II interceptors, Modant Marine boats, K38 Combat Catamarans etc). When we wrote about an unknown jumbo haul of river gunboats and landing craft by the hundreds, we backed up our assertion with a manufacturers statements and a cascade of photos. That was because neither SIPRI, UN Register or Jane’s had anything on such a large acquisition. By the same token, when we have log entries in databases such as ArmyRecognition, Army Guide, SIPRI and UN Register, we do not also have to wait for photos either. The aforementioned chaps do not cook up their own data. In a Nigeria where until the 2010 Golden Jubilee P’rade, the last parade which we saw on TV, no thanks to the ‘security paranoia’ triggered off by longs years of military rule and an uneding harkback to the assassination of President Sadat in Egypt, was on Independence Day in 1989, I do not know where we expect to see these things, other than the Otokar Cobra(204 units) and Panhard VBL(72 units) which are heavily deployed for CTCOIN operations. – Until they were splashed this year, the last photo of a Steyr 4K 7FA tracked APC(300 units owned) seen anywhere was taken in 1989. – As we speak, nobody can show me a photo of a ZSU 23-4 SPAAG Shilka (30 units) but we have a photo of one contained in this year’s almanac, even as we all know that they were deployed for ECOMOG duties. – the last photo of any Panhard AML 60 (60 units owned)seen was shot in the late 1970s. – On this blog, we have rare photos of Nigerian Panhard Sagaie AFVs taken in Sierra Leone and during the Golden Jubilee P’rade. I know that many years ago as a small boy pacing around the streets of Victoria Island in Lagos, a Panhard Sagaie(46 units in service) blocked off the street where the April 22, 1990 putschists were being tried. – We have seen photos of MOWAG(70+70 units) and MT-LB APCs(67 units). – We saw photos of Palmaria SP arty(50 units) at the Golden Jubilee P’rade, first shot since the 1989 P’rade. However, what the referenced equipment logs say, including entries into the UN Register by countries selling the hardware or obtained independently from manufacturers is reliable enough, whether or not you see. We are talking about credible agencies and their published reports here and not hollow jingoistic claims. OGA MAKE YOU KNOW TIRE O! LOL :)! As the foregoing suggests, we have quoted ONLY reputable logs and not lapsed into hollow conjecture or empty claims steeped in phantom acquisitions…photo or no photo. Perhaps we have used photos to show so many unrecorded deliveries that some of us have become overly expectant. Indeed, we have brought you photos of equipment which were not logged in anywhere but have, using manufacturers statements and photos proven ownership of hundreds of gunboats and landing craft such as Aryan 1300-series, MODANT Marine, Manta Mk.II Littoral Interceptors, Stingray gunboats and landing craft, K38 Combat Catamarans, JEDI boats, RHIBs(7.8m RIBForce and 11m types), NC 27 Night Cat Interceptors, RBS Defender boats, We also brought you first photos of a Nigerian Navy Bell Jet Ranger helicopter on which we delivered a global scoop when I visited the Navy SBS commandos etc. No log recorded the delivery of Bell Jet Ranger helicopters but we have proved that the NN own some of those. Like Doziex rightly pointed out, the OBJ years witnessed a quiet buildup of armoured and mechanised assets following the ending of sanctions and the lifting of an arms embargo which saw the resumption of deliveries on hardware systems procured from the West but which had hitherto remained undelivered on account of existing sanctions against Nigeria. As far as we know, you do not create new artillery brigades, light tanks battalions and armoured brigades without a requisite asset base. So photos or no photos, large deliveries of light tanks, armoured recce vehicles, APCs, towed and SP artillery and main battle tanks by the hundreds have already taken place and been recorded. Oga beeg, why u taya naah? This your post cracked me up truly. I could literally feel your exhaustion. Nigeria may have/ haven’t al ready purchased the JF-17 thunder fighter. A close contact of mine, claims to have seen the jf-17 thunder in an un disclosed air base. He was very very certain about it. On a more optimistic note, nigeria’s rocket testing is in full gear in Epe. Of course our space agency(nasdra) would say, it’s only for space research/ technology, but of course it has military use also. The research team is lead by nigeria’s foremost physicist professor P.N okeke and other brilliant nigerian scientist. There is optimism that come 2013 their target would be met and another target set. Henry as for the JF-17 thunder, I dont doubt you because i know Nigeria ! Please read the lips of Goodluck very well about Mali ? why would nigeria purchase the jf-17 thunder(which is a clone and not a very gud one @ dat)when there are better 1ce like j-10 and the likes,or the originals like su-30mki/mkk and the su-35 or the mig-35/29. The nigerian people are their own enemies. The JF-17 is constrained by range and is of secondary expeditionary value to an air force of a regional enforcer. 1,352km is its range as against 3,200km for the Su-30. Nigeria should work with her brains sometimes. All the ‘open source codes’ talk means nothing to me. The JF17 is only good enough for our second string jet. If they were paying instalmentally for eight new Su-30s and twelve used Su-27s from Russia at a cost of US$550m and then grabbing three Type 056 missile corvettes, twelve Hongdu L15 Falcon and eighteen JF-17 Thunder in a US$700m oil-for-arms deal, it would have made more sense. Today, what we need is the capacity to hit at any hostile target in northern Mali and northern Niger direct from Sokoto; and any hostile target inside Chad from MDGR…now that all three governments are officially partners in the War on Terror and have had second-string Boko Haram activity taking place on their soil. Because of the depth of content entailed in my back channel communication with Henry, I am tempted to probe further as it pertains to this matter. – the supposed allocation for hangars and ground equipment for supposed F-7 jets in MKD, MNA, SKT and MDGR, coming so soon after CATIC revamped the hangar at MKD and with only one squadron F-7s yet delivered, seemed like a sure sign that a new haul of jets of whatever hue was in the loop. (2) Project Stargate:- USD 20 Million was spent on this project learning not just how to view things/places remotely, but even to kill enemies remotely. It was headed by Maj Gen Albert Stubblebine. You can also google Major Paul H. Smith, Pat Price and Joseph McMoneagle. In fact, Pentagon invited the popular Uri Geller ( the world renowned “spoon bender” to assist in this project. (4) Nanotobots:- there are so many articles about the use of Nanorobots in warfare on the net. (5) HAARP:- High frequency Active Aurora Project:- It’s a $ 250 Million research being sponsored by US Airforce , US Navy and DARPA that is oriented at weather modification and enhancement. Its facility which is based in Gakona, Alaska is “out of bounds” to even top echelons. The ability to modify weather over the enemy’s territory was demonstrated by the USA in Vietnam in the late1960s and also demonstrated by China at the opening ceremony of the 2008 Olympics in Beijing. (6) Another interesting read that I did not mention above is US Navy Mammal programm:- This is a secret programm where Dolphins and Porpoises are trained not only to guard Naval assets but to search and destroy infiltrators (enemies Special Forces operators). These animals can even locate mines and downed aviators and they can be dropped with parachutes. They were used in Gulf War 1 to clear the Straight og Hormuz. Russian, Ukraine and Iran also have similar projects. The project was started in the 1960s. (7) Advance Combat Suits:- Virtually all the advance countries of the world had working prototypes of Advance Combat Suits way back in 2009. These have been tested and are functional. The capabilities of these suits are mind boggling. I believe the reasons why they are not been fielded yet is the cost implication and the power problem (I learnt that they require a lot of electric power to carry out most of their functions). There are so many articles on the net. (8) DARPA’s Robotic Mule:- This is a robotic mule that can assist soldiers to carry heavy load into rugged territory. Its video is on YouTube. Most of the things I mentioned are science/military facts and not fictions. The fact that they are not being fielded doesn’t mean they don’t exit. I apologies for not beeing able to post the links to these articles, I guess my computer don dey ask for a younger brother! Bros, first off your links don’t work, secondly most things you mentioned are popular conspiracy theories. (3) Invisibility: You cannot make a tank invisible. There is no technology that can do that and even if there was it would not be at all possible to use it operationally. (5) HAARP:- its a weather monitoring experiment not altering, how do you alter the weather pray tell? (6) Another interesting read that I did not mention above is US Navy Mammal programm: yes was tried in the 60s to sweep for mines. Was discontinued as it didnt work. Nice pics @ogabeeg Nice one! And I hope a certain useless Woman is taking note not to side track though as for @pecavvi and @henry the arguments for me is almost like the same one we have had till now “Do aliens Exist?” Henry I doubt any of this things are real but well I can’t put much past the USA to try the amount giving to DARPA alone dwarfs countries budgets but pecavvi as regards invisibility its on record a group of british scientist where able to bend light for a few nanosecond to distort an object and make it invisible to the eyes. We all did physics back at high school light is a spectrum and the theory is if u bend light that spectrum moves from visible light to other bands not seen by naked eyes making it invisible viola! With all CERN Reseach is doing in Switzerland making Anti Matter is this so hard to believe. As for the rest I doubt their relevance to battlefield only thing I know the US Army is Working on is a Remotely Controlled Tank that can operate on its own and the Global Hawk UAV there is also plan for a newer form of the Raptor and a OPV for the Marines. I’m happy the Epe Project is coming along great last I heard they reached 120km or so….Nigeria needs to spend heavily on Research and Development and Employ more University Graduates to a dedicated Armed Forces Science and Technology Reseach Centre that will feed DICON.